Nothing screams summer more than watermelon and this time of year is hard to miss. It’s the perfect time to make the most of the low prices associated with a fresh seasonal supply. Or you can take it one step further, and try growing your own at home with your family. Watermelon loves growing in compost. You can often see them starting to sprout in compost at home. Expect them to spread out and take any space you allocate and then some. You’ll find the humble watermelon will climb and mount just about anything in its path. Watermelon is relatively easy to grow but does require full sun, an abundance of water and nutrients, so keep this in mind. 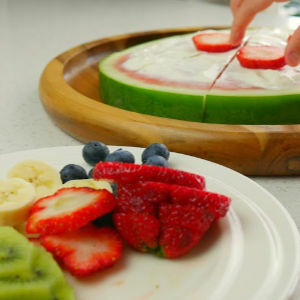 Kids love watermelon this time of year and let’s face it, it’s a simple cut and dice dessert. Now kids aren’t that fussed how their sugary fruit arrives but I bet you’ll get a bit more of a smile when they see this creation. 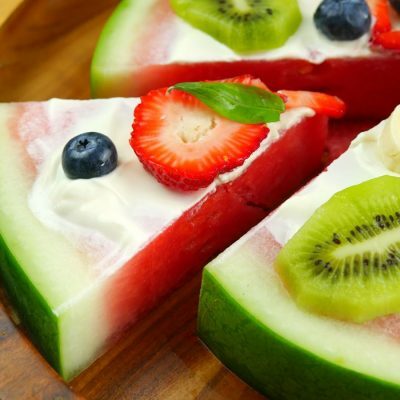 We’ve found watermelon pizza takes it to the next level. You’ll find it perfect for kids birthday parties, special occasions and just for something different to try on the weekends. Let the kids help you create and you’ll have them coming back for seconds in no time. Slice the centre from a whole watermelon. Make the slice thick enough so it doesn’t fall apart once the toppings are placed on top – about 2 cm thick. 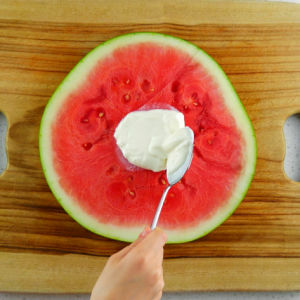 Using a natural yogurt, cover the top of the slice of watermelon and then place this into the freezer to cool and set. 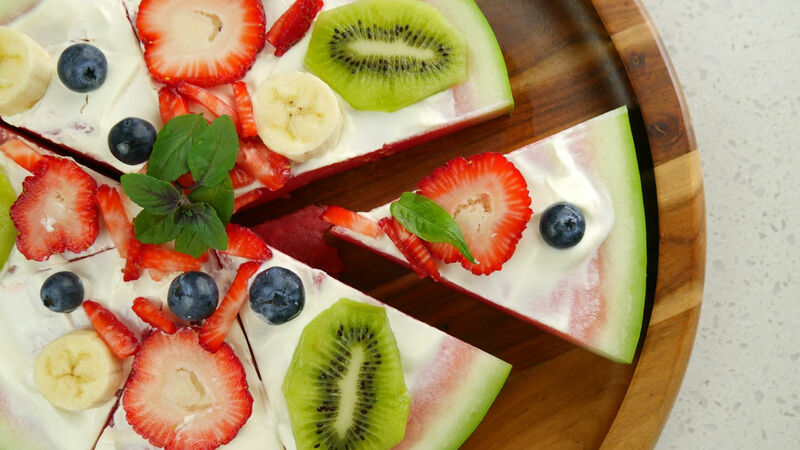 Top your watermelon pizza with whatever fruit they like. We’ve used blueberries, sliced strawberries, kiwi, and banana with some sliced up strawberry cheese!